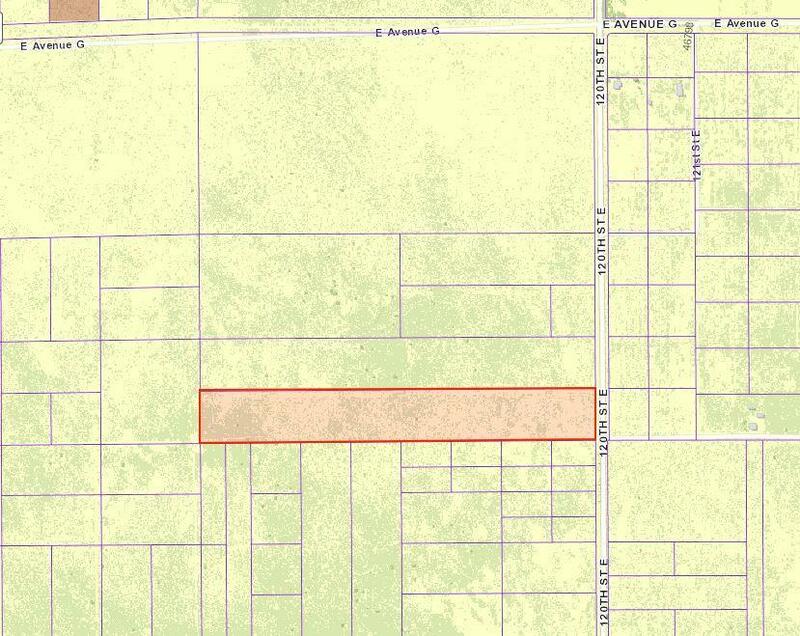 Large 20+ acre parcel. Paved frontage, corner of 120th Street East and Avenue G-8. Seller very motivated! Solar possible and build your country home. Plenty of open space! Both 120th Street East and Avenue G are paved.